Your hearts beats so fast you can feel it pulsing in your temples. Your legs burn from extreme exhaustion and you gasp for every breath of air you can get. Sweat pours down your forehead into your eyes. Your shirt looks like you’ve just jumped out of a pool. The timer says 30 seconds left until that merciful 20-second break, so you keep pushing because you’ll be damned if Tracy beats you through this workout. Finally, the group instructor calls time and you fall to the floor smiling because this will be so worth it. Less than a half-minute later, you’re back at it. That was the High Intensity Interval Training class you took at your local boutique fitness joint, and if it happened recently, I’m sure you still feel it. HIIT workouts have grown in popularity in recent years, mainly because they’re advertised as the best way to lose weight in the least amount of time. It’s true. Mutliple credible scientific studies have indicated that HIIT is a beneficial and efficient way to burn fat and improve sports performance without being in the gym for a drawn out amount of time. And yet here I am, writing to tell you that it isn’t the “only” way or always the “best” way. First, HIIT affects your metabolism in a completely different way than steady-state cardio. When you do endurance training, which activates your aerobic metabolism, your body will convert carbohydrates, amino acids and fats into energy by using oxygen. For instance, this happens when you cycle, walk or run over a longer period of time using sustained effort. HIIT training or any short bursts of highly intense activity deals with anaerobic metabolism. Anaerobic means that your lungs simply can’t put enough oxygen into your bloodstream to keep up with the demands your muscles have in order to produce more energy. Therefore, your body creates that much-needed energy by using the combustion (or burning) of carbohydrates instead. Studies have shown that the dual anaerobic and aerobic process that HIIT requires will not only burn fat, but will continue to do so well after the exercise is over, as your body works to restore its physiological and metabolic factors in the cell back to its norm. HIIT training really is a wonderful addition to your workout regimen, but alas, there are drawbacks — as there are always consequences for taking things to the extreme. What tends to happen in HIIT groups is that over time participants will begin paying more attention to the clock running out than to the execution of their workouts. Exercise, especially in this form, is considered a stressor. It can be difficult to remain motivated to push one’s self correctly, especially without a trainer on their tail, when their body is ready to quit. That’s why I tend to think of HIIT as a wonderful “addition,” as you may have noticed above. It just isn’t the type of workout you should be doing seven days a week. If you are performing these workouts correctly, you will need at least 24 hours between sessions or you’re likely to run a much greater risk of overtraining, which leads to injury. Don’t forget to spread it around by including some endurance training in your weekly workout plan. You can burn just as many calories in a session with a more steady approach, and you don’t have to deal with that crazy post-workout exhaustion. A day of hiking can burn more than 2,000 calories while you bask in the sun and enjoy your day without the burnout. Endurance training is also proven to reduce blood pressure and improve your resting heart rate, a huge win for cardiovascular health. There are pros and cons to everything. A well-rounded plan of HIIT, endurance training, strength training and circuit training will keep you fit in all components of fitness while also helping you avoid burnout and boredom. One isn’t really always better than the other (unless you are training for a competition or a particular sport). Remember, context is everything. Together, these different ways of exercising can all come together to help the average individual thrive — whether that means to lose fat for a wedding later this summer or simply stay healthy for the long-term. 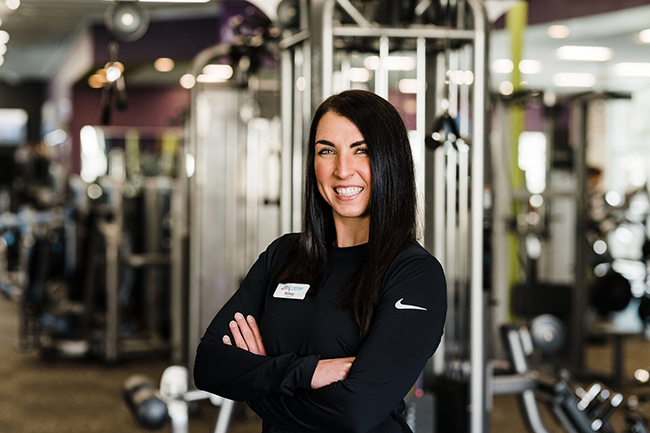 Brittney Pereda is the owner of eXtreme Body Benefits, a south Charlotte-based fitness and nutrition company.